Statistics can make any numbers into useful information and overall picture of anything. College is not an exception. College statistics tell us about trends, students behavior, and most likely, future of graduates. Below we arranged eight interesting facts about college by using statistical data. Out of 75 percent of all high school seniors accepted to their first-choice college, even less than two thirds can afford it. Due to the last research made by UCLA on college students, far not every accepted individual is able to study due to their financial incompetence. For this reason, it’s very important to check whether your college gives any financial aids even before you apply. Only 23 percent of students younger than 24 years old work 20 hours or more weekly. Regardless of parents’ beliefs, working while being a student is actually a good thing. Consequently, this percentage should be higher. Instead of hanging around after the classes, students organize their time and put right priorities. Almost more than half undergraduates’ annual family income is $40,000 a year. There always a way to afford college, you just need to find right financial resolutions, for example, summer work or scholarships. Moreover, good grades in school help to receive different aids in university, so start thinking in advance. The number of students that attend the Ivy League schools is so low that is less than one percent. Ivy League School is the place where a student can get an excellent education if applied and moreover, at a lower sticker price. It’s also important to know that often the college itself doesn’t matter. Received degree, field of internship, and connections really matter in applying for a job. Nine tenth of first-year students are supposed to obtain their degrees in four years. In case you get your degree in four years or earlier, you make major financial savings. This not only means that you save on college costs but also you are entering the job market earlier and start earning money way before those who are still in college. Out of 2,350,000 enrolled college students every year, only 1,750,000 are going to graduate. It’s important to ask freshmen retention rate when choosing a college. 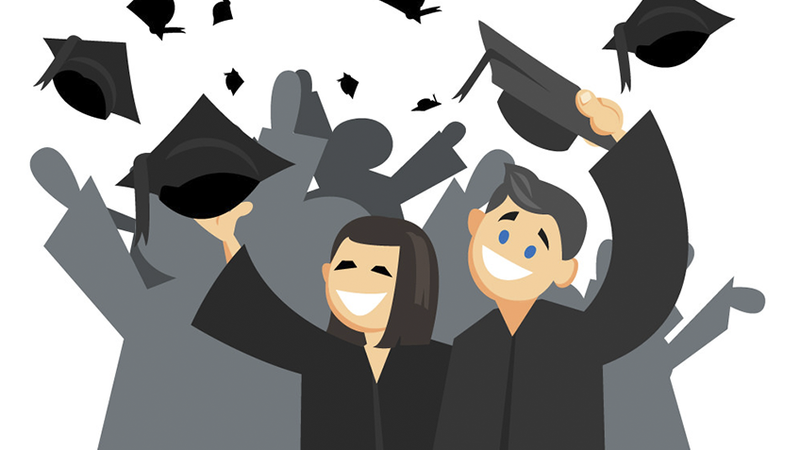 Get a percentage of graduates compared to a number of initially enrolled students. Colleges where the retention rate is high, make their education process not only effective but enjoyable. The average college student debt is $23,700 when the average student loan payment is $432 a month. Imagine having a $23,000 student loan while just graduated from a college. Not an easy task, especially if you are unemployed or starting at a lower salary. Think carefully and critically beforehand you use a student’s loan to pay your bills. Parties are a common thing for a college student. The statistics prove that an average student visits around 60 gatherings per year. Unfortunately, parties are interconnected with poor grades, health, and low class attendance rate. Not to say that is bad to have fun in college, but it’s better to mind your priorities in order to protect your investments. Hopefully, these facts about college and its students will become a helpful source for you. Pick the university by using numbers and investigate the most efficient university from angles of studying and enjoyability.